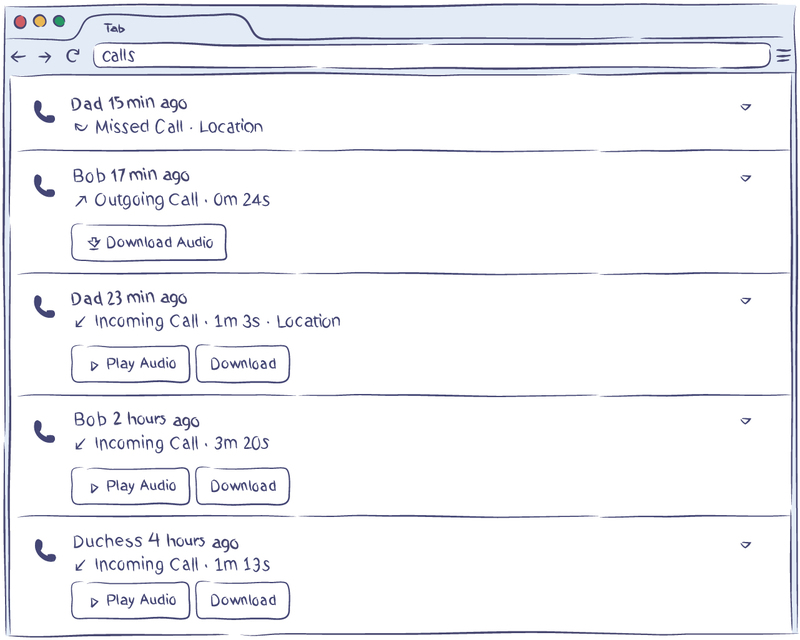 This call and SMS tracker saves the exact time of the call and its duration. It is designed to save the smartphone number of the conversation partner and their name from the contacts list of the monitored device. There is a call location feature (if geolocation is turned on) that saves the place where the call was made. A special algorithm allows this call, GPS and SMS tracker to save the call details even if a user has deleted the information from “Call History” right after the call. Collected history of calls and call location data is stored in the user panel and can be accessed from any device with Internet connection. Besides the calls, the software saves all the SMS and MMS conversation threads. Saving call information is turned on by default, so you don’t have to make any changes in the settings to enable it. There's no need to receive the root on the monitored device to save this data. Knowing the call history of the target phone can help you understand how much time someone actually wasted on the target phone instead of doing their work or studying. If the calls seem suspicious, you can determine what place they were made at with the help of a geolocation feature. Recording the calls can also help you understand if your children discuss something inappropriate for their age. All this information is very easy to view at any given moment in your personal user account.